The three man crew of NASA’s Apollo 11 splashed down in the Pacific Ocean 45 years ago today on July 24, 1969 – successfully concluding Earth’s first journey to land humans on another world and return them safely to our Home Planet. Apollo 11 Commander Neil Armstrong became the first human to set foot on the Moon on July 20, 1969 after he stepped off the footpad of the Lunar Module Eagle soon after the start of the moonwalk EVA at 10:39 p.m. EDT and onto the lunar surface with his left foot at the Sea of Tranquility at 10:56 p.m. EDT. Lunar Module (LM) pilot Buzz Aldrin followed soon thereafter. They came in peace for all mankind! The magnificent Lunar landing feat accomplished by US Apollo 11 astronauts Neil Armstrong and Buzz Aldrin marks the pinnacle of Mankind’s most momentous achievement. The Apollo 11 crew consisting of Neil Armstrong, Buzz Aldrin and Command module pilot Michael Collins splashed down safely at 12:50 p.m. EDT on July 24 about 900 miles southwest of Hawaii in the North Pacific Ocean while seated inside the Command Module Columbia dangling at the end of a trio of massive parachutes that slowed their descent through the Earth’s atmosphere. After a mission duration of 8 days, 3 hours, 18 minutes, 35 seconds from launch to landing the Apollo 11 crew were plucked from the ocean by helicopters from the USS Hornet recovery ship after splashdown only 12 nautical miles (24 km) away. They had to don protective biological isolation garments (BIGs) in case they were infected by some unknown and potentially hazardous “moon germs.” Of course there were no pathogens, but this was not definitely known at the time. After their return to Earth, the trio was scrubbed with a disinfect solution of sodium hypochlorite and had to remain in quarantine for 21 days inside a 30 feet (9.1 m) long quarantine facility known as the Lunar Receiving Laboratory (LRL). They were welcomed back to Earth by President Nixon aboard the USS Hornet. We’ve chronicled the journey of Apollo 11 and lunar touchdown on July 20, 1969 as well as this week’s renaming of a historic human spaceflight facility at the Kennedy Space Center in honor of Mission Commander Neil Armstrong. Here we’ve collected a gallery of the mission and ocean splashdown that brought Apollo 11 to a close and fulfilled the lunar landing quest set by a young President John F. Kennedy early in the decade of the 1960s. The trio blasted off atop a 363 foot-tall Saturn V rocket from Launch Complex 39A on their bold, quarter of a million mile moon mission from the Kennedy Space Center , Florida on July 16, 1969. The three-stage Saturn V generated 7.5 million pounds of thrust and propelled the trio into space and immortality. Read my story about the deep sea recovery of the Apollo 11 first stage F-1 engines in 2013 – here. The crew arrived in lunar orbit three days later on July 19, 1969, inside the docked Apollo 11 Command/Service and Lunar Modules (CSM/LM). Armstrong and Aldrin then moved into the Lunar Module, undocked and safely touched down at the Sea of Tranquility on the lunar surface on July 20, 1969 at 4:18 p.m EDT as hundreds of millions across the globe watched in awe. Six hours later Armstrong climbed down the LM ladder and stepped onto the Moon and into immortality. The duo collected about 50 pounds (22 kg) of priceless moon rocks and set out the first science experiments placed by humans on another world. The moon rocks were invaluable in informing us about the origin of the Earth – Moon system. Video Caption: Original Mission Video as aired in July 1969 depicting the Apollo 11 astronauts conducting several tasks during extravehicular activity (EVA) operations on the surface of the moon. The EVA lasted approximately 2.5 hours with all scientific activities being completed satisfactorily. The Apollo 11 EVA began at 10:39:33 p.m. EDT on July 20, 1969 when Astronaut Neil Armstrong emerged from the spacecraft first. 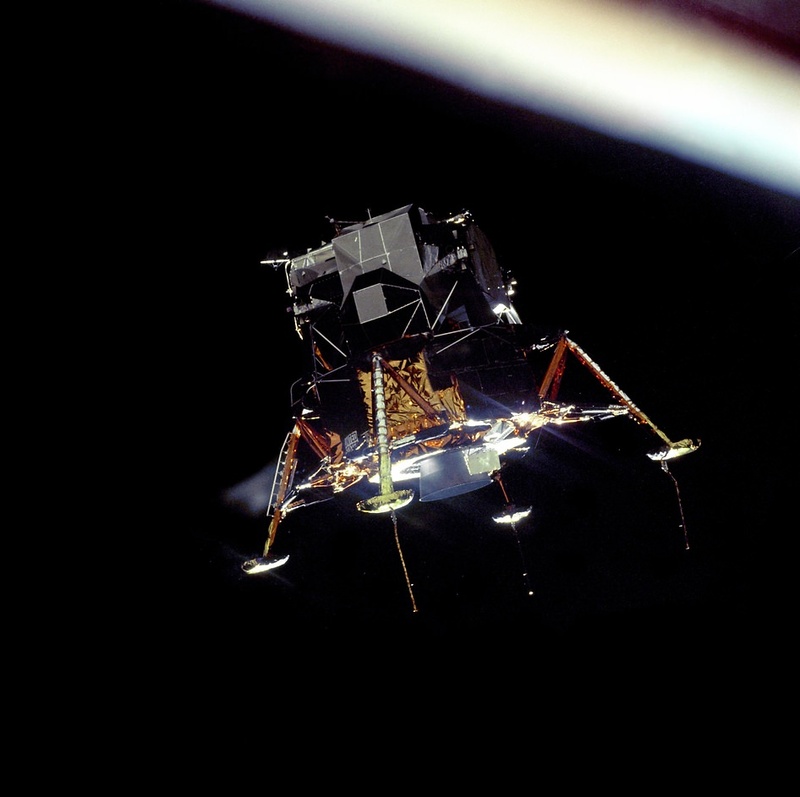 While descending, he released the Modularized Equipment Stowage Assembly on the Lunar Module’s descent stage. 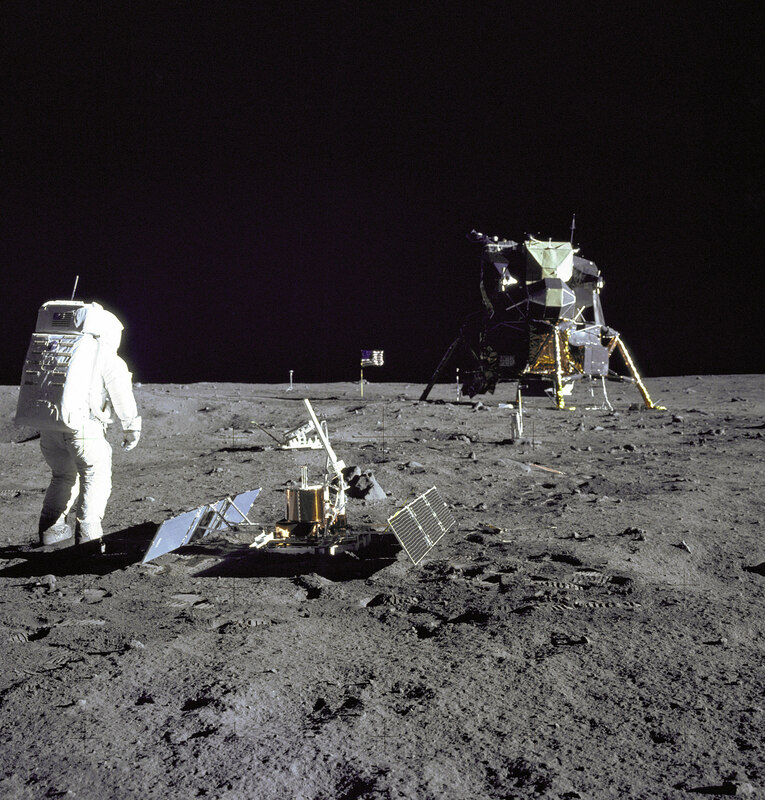 Altogether Armstrong and Aldrin spent about 21 hours on the moon’s surface. Then they said goodbye to the greatest adventure and fired up the LM ascent engine to rejoin Michael Collins circling above in the Apollo 11 Command Module. Stay tuned here for Ken’s Earth & Planetary science and human spaceflight news. Making its debut at the TEDxISU (International Space University) event on July 6, the video above is an inspirational call-to-arms for anyone who’s ever looked to the stars and dreamed of a day when the sky was, in fact, not the limit. From Sputnik to Space Station, from Vostok to Virgin Galactic, the video reminds us of the spirit of adventure that unites us, regardless of time or place or politics. Dreaming, after all, is universal.